Continuing the Latvian contemporary art exhibition cycle started by Daugavpils Mark Rothko Art Center in 2014, this year viewers are offered the opportunity to acquaint themselves with Latvian contemporary ceramics. The choice of ceramics as this year’s art medium is, most likely, a natural occurrence – in 2015 the Daugavpils Ceramics association marks its 35th anniversary from its foundation. Furthermore, Latvian contemporary ceramics exhibition is a continuation of sorts to the view upon development of Latvian ceramic art that was begun this year in Rothko Center by a large-scale exhibition of Ķīpsala Ceramics thus outlining the process of creating contemporary ceramics. 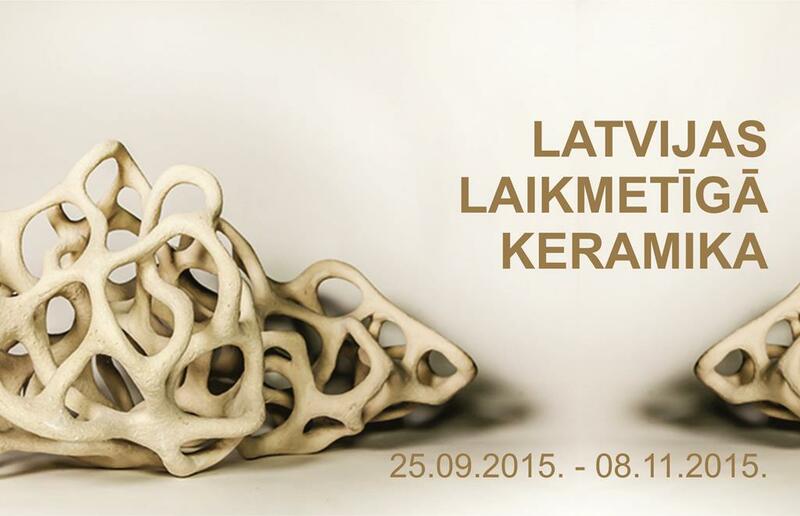 The aim of Latvian contemporary ceramics exhibition is to bring into light the significance of ceramics as a contemporary art medium and its place in the Latvian current art and culture scene. Therefore the greatest Latvian ceramic artists were invited to participate in the exhibition. They represent various generations of ceramics overall and have been successful in Latvia as well as are internationally recognized Latvian ceramic artists. Latvian ceramic artists Sanita Ābelīte, Skuja Braden, Valda Podkalne, Juta Rindina, Ilona Romule and Elīna Titāne, participate in the exhibition.